MRO Bit Holders are designed with high quality steel and are used throughout the aviation and automotive industries. MRO Bit Holders provide economy and flexibility. MRO Bit Holders are designed to respond to the constant demands of driving applications and can be used for driving screws and fasteners with hand tools, corded or cordless power tools, and pneumatic tools. This bit holder is equivalent to Apex Bit Holder 490. MRO bit holders are made with high quality steel and are used throughout the aviation industry. With MRO bit holders, you get economy and flexibility. MRO bit holders feature quality, select raw materials and only high grade tool steel. The MRO OM490-25PK 25 Piece Bit Holder Pack is one of thousands of quality tooling products available from MRO Tools. 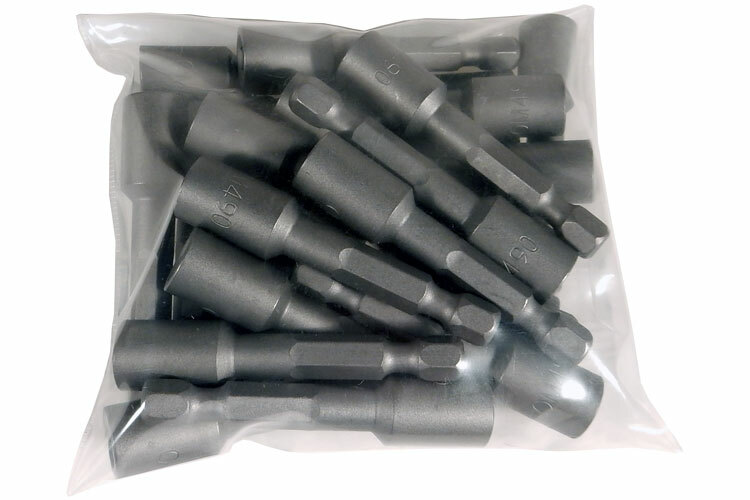 Please browse Quality Generic Bit Packs for tools similar to the MRO OM490-25PK 25 Piece Bit Holder Pack. MRO OM490-25PK 25 Piece Bit Holder Pack description summary: MRO bit holders are made with high quality steel and are used throughout the aviation industry. With MRO bit holders, you get economy and flexibility. MRO bit holders feature quality, select raw materials and only high grade tool steel. Quantity discounts may be available for the MRO OM490-25PK 25 Piece Bit Holder Pack. Please contact MRO Tools for details.